The ABC, Anything but Climate (sceptics), has successfully avoided mentioning any of the numerous problems with the IPCC’s recent report, like changing a graph to make it look like climate models hadn’t wildly overestimated warming in the last decade. A new study on vulnerable koala populations has found the Australian icon could struggle to survive rising temperatures. Dr Crowther says the results of the research call for a change in the management and conservation of koalas. “One quarter of the koalas we studied perished in a heatwave in 2009 and Australia has just experienced the hottest year since climate records began,” he said. With temperatures increasing, without more help koalas could really start to feel the heat. 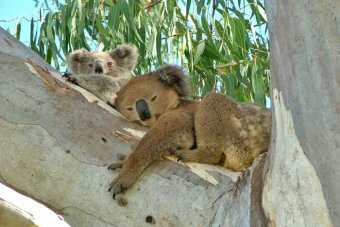 “The lack of understanding of the importance of shelter trees for koalas is particularly concerning given the increasing frequency of extreme weather events,” Dr Crowther said. Gimme all your fossil fuels, or the koala gets it! They wont stop wil they..And the MSM missed this gold as well. 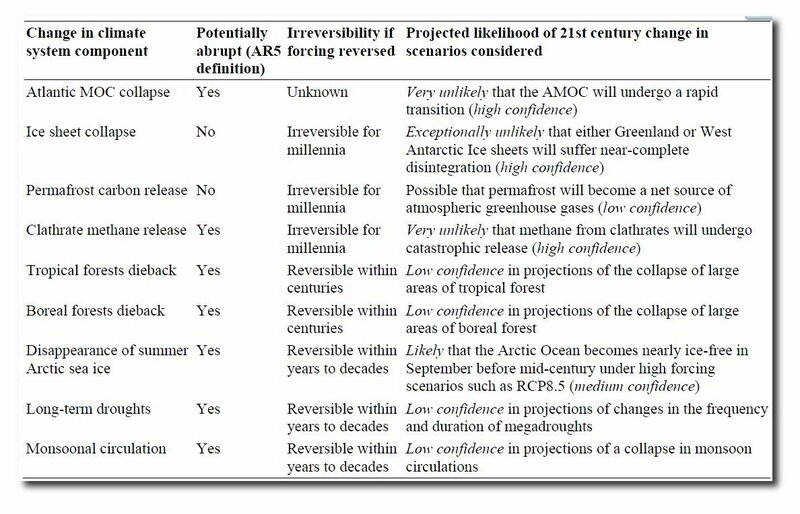 IPCC AR5 report Table 12.4 in the draft report. Its seems there is a major disconnect between what the media is reporting(we are all doomed) and what is actually in the report. When you have nothing else left then it’s time for the mother of all scare campaigns, they can’t even send the koalas to the deep ocean for a cool respite as it is too hot for them there. Yep time to shoot a furry animal… the ABC gets my vote for the first to be shot to pieces and sold off. Think of the money that could be used for schools, hospitals and medical research instead of these extremists. I wasn’t going to add a like to this (nothing personal, it’s just how can anyone “like” such a story? ), but your “Gimme all your fossil fuels, or the koala gets it!” won me over and made me laugh. Of course it’s not the first time the ABC has reported the perils of koala’s as they face an ever changing climate. This report from 15 December 2009 says much the same thing, which makes you wonder why you’d bother reporting the same stuff all over again. Then again, if you’re still not satisfied, you could always read one of the 2,000 plus articles that relate to koalas and climate change. Makes you wonder how many times, so many different people, can get paid for saying the same thing … and still keep a straight face!